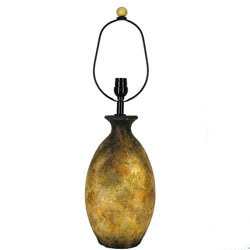 The Dented Earthen Base bears a simple oval shape that is complemented with a hand painted crackle glaze which gives the base a wood-like finish. Subtle indentations provide added character to this piece. 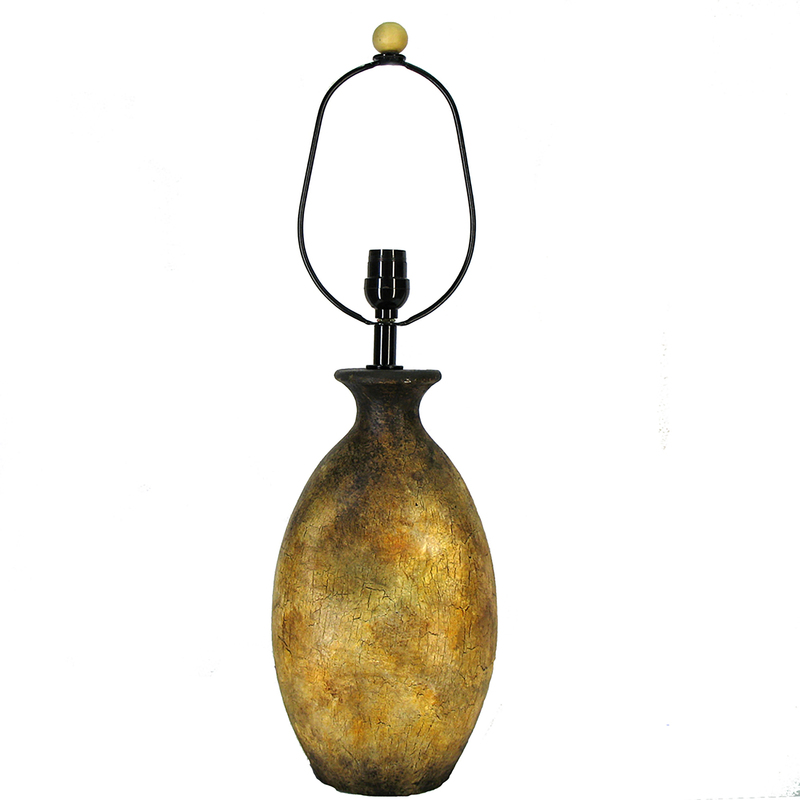 Made from terracotta then handpainted with a natural crackle finish. Features a standard lamp harp.